Be local in a global city. Be local in a global city. 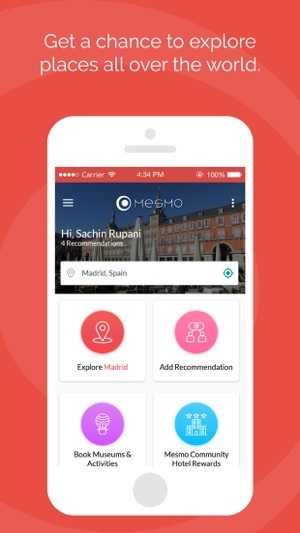 Wherever you are, www.mesmo.me quickly finds local recommendations, hotels, e-tickets to museums and fun activities. With the City Explorer (re)discover places in your city and beyond. 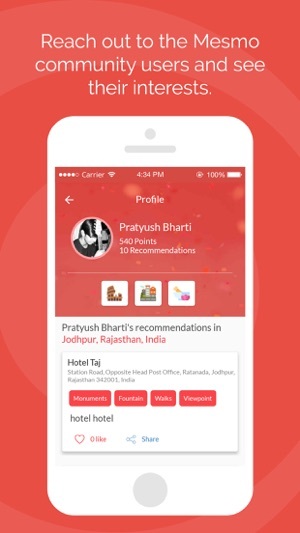 Find people’s top 10 recommendations in 2 clicks. 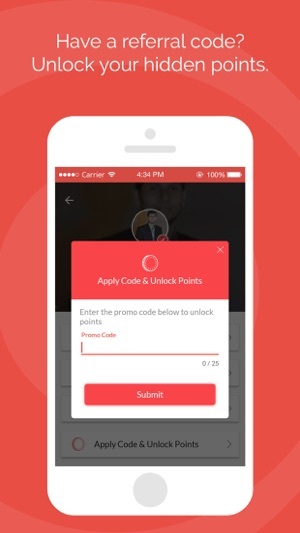 Earn points by adding great recommendations and then tag & share them with friends & family. Get e-tickets to your next cultural event! No printing, no waiting. The very best local experiences & activities, all in one place. No need to check hundreds of websites to find your perfect experience. 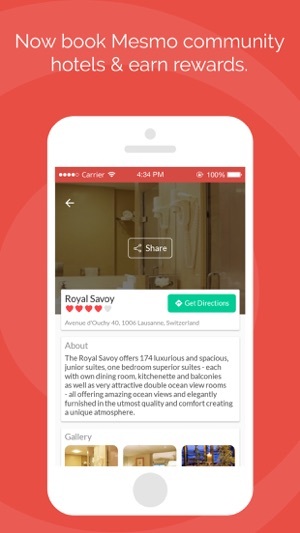 (Re)discover hotels the Mesmo way. When you travel, you don't just want a bed: you want to be part of the neighbourhood. 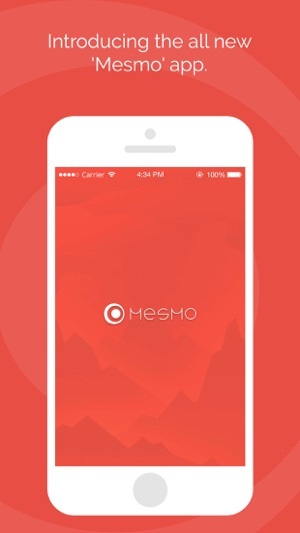 Mesmo offers handpicked hotels with exclusive deals beating most travel sites on price. 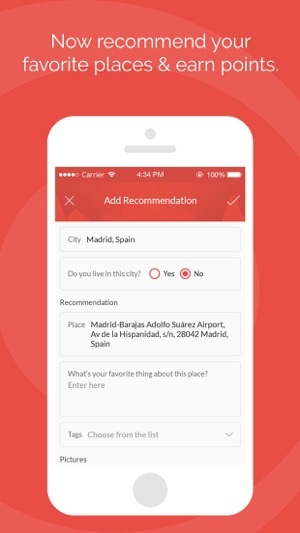 Save time - find people’s top local recommendations in 2 clicks. Local recommendations - browse most recommended to least recommended places based on your interests. 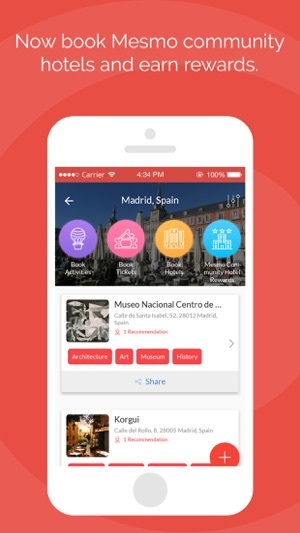 Keep track - save your favourite places and share them with friends & family. 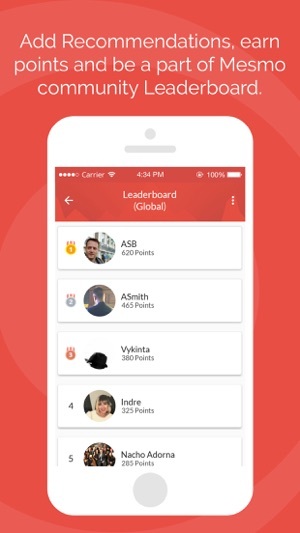 Leaderboard - check where you rank compared to top globetrotters and City experts. Zero Reviews - Browse recommendations, not reviews. Skip tourist traps and spammy review sites with overly positive and negative reviews. Compare hotel deals - Compare all the top travel sites in just one search to find the best hotel deals worldwide. Mesmo Community Hotel Rewards - Book hotels directly and save up to 10% discount as compared to other Online Travel Sites. Skip the line - Access museums, events and shows with e-tickets. Instant confirmations! No need to wait! Excellent appli pour trouver des hôtels à des prix exclusifs ! Bien vu le programme de gamification !! Only real local recommendations and no negative reviews like TripAdvisor!